It's our last day of the My Creative Time 72nd Edition sneak peeks! Tomorrow is the day you can finally see this awesome release in its entirety and get shopping! But first, we have one last adorable stamp and die set to sneak for you today. You are going to love A Sloth Holiday! I don't know what it is about sloths, but they are just so cute! As soon as I saw this set, I knew that I needed to use it to make a birthday card for a boy in my class. For Christmas, there is also a super cute sloth on a candy cane image. But for course for this birthday card, I chose the sloth on the tree branch, coloring him with my Zig Clean Color Real Brush Pens. I created a little window frame for him using one of the Stitched Square Dies Inside & Out, along with More Stitched Rectangular Dies, for the outer rectangle. Then, since it's a birthday card, I added a little present, made with a die from All Around Holidays, to put next to that cute sentiment! OMG Miss Katie...What a SUPER Cute Card. 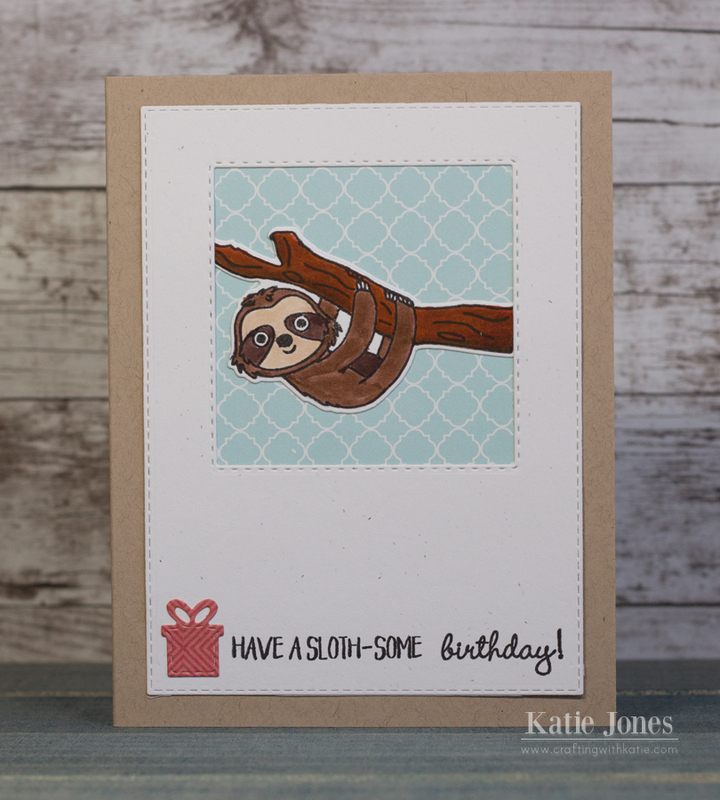 You did a Super Coloring job and loving the papers & color scheme it so showcases this adorable sloth and that little boy in your class is so going to love his card!! You did a Super Outstanding Creative job!! YOU so ROCK!! This is just perfect. 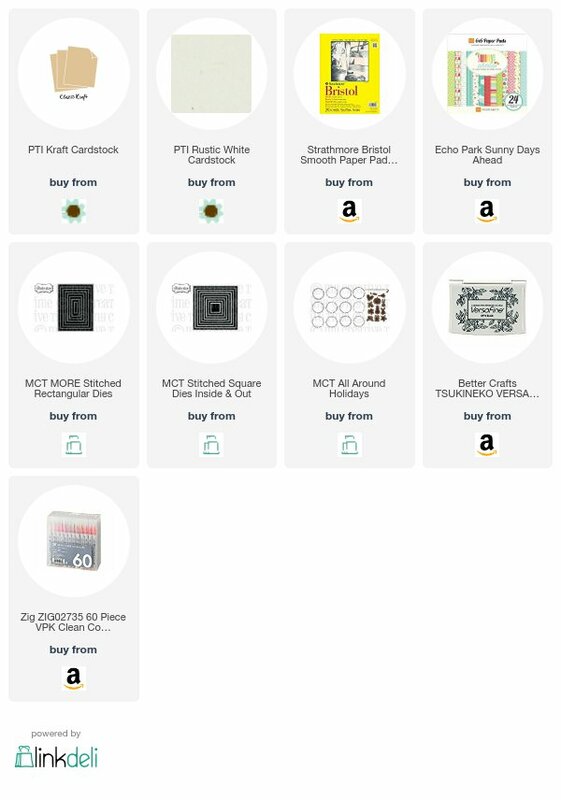 Your card is simply beautiful. I love your colors. Thank you for sharing!!! What a great card, this sloth is so cute! Darling card! Love how you made a window for him to peek through! Cute. I like the framing and the little present. So very sweet!! I think he's adorable!!! hes so cute in his little square, love the saying!!! What a funny card! I love the little "sloth puns", for the sentiments. Your card is adorable...I think your student will love his card! I like that you framed him in a window and the little present by the sentiment is a great idea. Love that fun sentiment. Perfect combination with the image. Thanks for sharing. Awesome creation with this new release! Ooh, so CUTE! LOVE that sentiment!